I live in Jamudiha village of Keonjhar district in Odisha. My village is a typical representation of deprivation in this area; rocky landscape, little cultivable land, rain-fed agriculture leading to high distress migration, and inhospitable work in the mines. I belong to the Bhuyan tribe, which means ‘children of the soil’. Some believe that our ancestors sprang out from ‘Mother Earth’ miraculously and thus evolved the name (Bhumi means Earth in Sanskrit). Incidentally, for a long time, I made my living, digging the soil. I worked in an iron mine. If I admit honestly, I did not like the work. It was back-breaking and I used to suffer from respirational issues because of the fine iron dust, and hence cough a lot. But, what options did someone so poor and marginalized like me, Tulashi, have? I distinctly remember that afternoon in the mine. I have thought about that afternoon a hundred times. As I loaded the iron-ore, I kept contemplating on the last Self Help Group (SHG) discussion, and the words kept playing in my head. “Goat rearing has a lot of potential in your village”, said the Bhai (facilitator from PRADAN). He went on to explain how the vegetation and forage in the rocky landscape of my village provided an ideal environment for rearing goats. The issue however, was the high mortality rate due to disease outbreaks, and dismal healthcare for livestock. The women in our SHG were excited. I was a little skeptical. Some of us had never raised goats; many in my neighbourhood only had small flocks of two to three. The Bhai was talking about an intensive engagement with bigger and healthier herds, and goat as a major source of income. I knew why everyone was excited, life in the mines can be merciless- injuries, health problems, and harsh work environment did reward only the owners, worker had to toil relentlessly. I had thought, if goat rearing actually worked, I will never go back to the mines. As I unloaded the final heap of ore from my head that evening, the decision was made. Before long, were involved in developing a full-fledged model of goat-rearing. There were orientation workshops on de-worming, vaccination, and other management services. For the very first time in my life, I went out of the district, to Balliguda on an overnight bus, to attend an advanced goat rearing training. 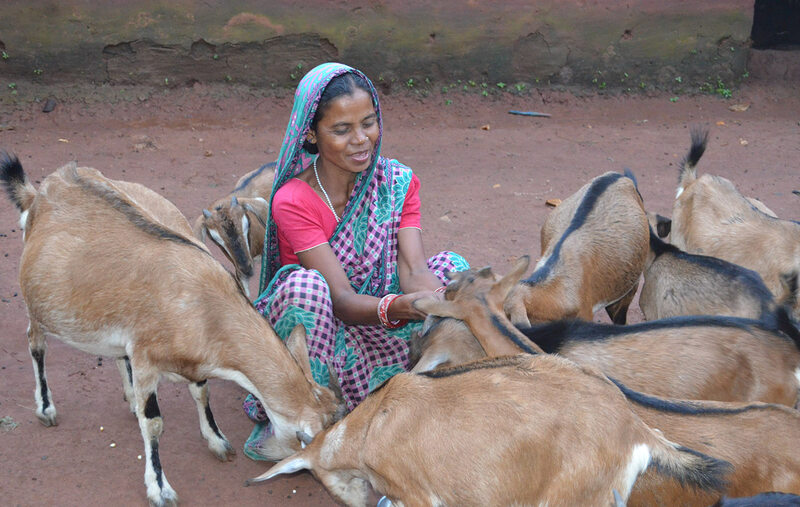 Next was an out-of-state visit to Jharkhand, where PRADAN promoted goat-rearing was at a matured stage. I worked hard over the years. My husband has been supportive of me at every stage and stood behind me like a rock. I now have a flock of 40 goats, with a total asset value of more than Rs 200,000 (~ USD 3,000), can you believe that? The Bhai from PRADAN was right. Thirty-three families out of total fifty in my village are intensively engaged in goat-rearing. Some of us have completely stopped going to the mines. I am happy to tell you that a quiet woman like me is now also a trainer on goat rearing. Many people- including the state-level Secretaries and the District Collector, have come to my house to understand the nuances of goat rearing. I feel that my journey out of grinding poverty is as big a miracle as that of my ancestors when they sprang out of ‘Mother Earth’ and made this land ours. 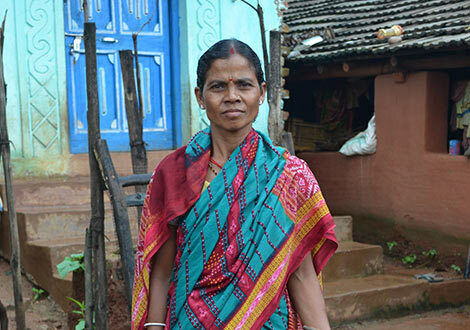 I live in the Jamudiha village in the Keonjhar district of Odisha. My village is an archetypical representation of deprivation in this area: rocky landscape, little cultivable land, rain-fed agriculture, high distress migration and desperate labour work in the mines. I am from the Bhuyan tribe, which means ‘children of the soil’. Some believe that our ancestors sprang out of ‘Mother Earth’ miraculously and thus the name.